If you are looking for an affordable area to vacation that gives you and your family a chance to relax, get back to nature, and fish, Dryden Ontario is just the place you are looking for. Located in the heart of the area known as the Sunset Country, Dryden truly does offer everything under the sun to do. Centrally located, it is in the southern half of the Patricia Region. Whether you reach Dryden by the railway or by automobile on the Trans-Canada Highway, you can easily get there, and get around once at your vacation spot. With ample outdoor activities, kids of all ages will love meeting Maximillian the Moose who stands at the centre of town to great guests at the visitor’s centre. 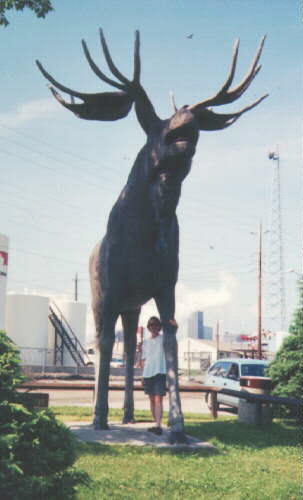 Max, as the locals call him, presides over a “MooseFest” festival and walleye fishing tournament every year. The outdoors is the mainstay of activities in Dryden, starting with the fishing on Wabigoon Lake. Record walleye are caught on a seemingly regular basis as well as muskie, northern pike, smallmouth bass, and the massive lake trout. You can hire a guide but that is not always necessary. There are plenty of shops to advise you where the fish are hiding, and get you all the tackle and gear you will need to catch a batch for your next meal. For those in the family who aren’t all that into fishing, many places have canoes, kayaks, and paddleboats available for rent. You can also windsurf on Wabigoon Lake, or head into town for golf, bowling, squash or racquetball, and for those die hard shoppers, a little bit of wilderness retail therapy. 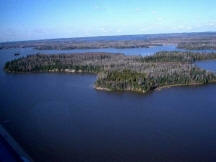 Eagle Lake is another popular destination found in the Dryden area and is known locally as the home of the Muskie. With so many huge musky in the lake, there is a minimum size of 54” required to keep the fish. That length is taller than many of the young fishermen and women! 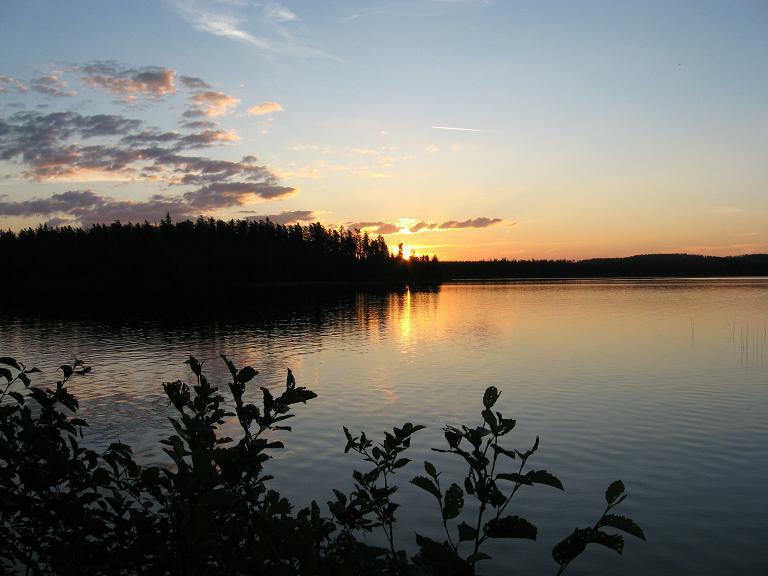 Large lake trout, monster perch, and smallmouth bass are also in abundant supply on Eagle Lake, and there are many places to stay that offer a variety of services for their guests. For those interested in history, the Sunset Country was an important part of the Ojibwe Nation, and it is believed parts of the area were used for trade and cultural exchanges between the Aboriginal peoples. Museums document and teach visitors about the history of the area and include pictographs, burial grounds, and artifacts from that period of history. Whichever one of the hundreds of lakes you decide to visit in the Sunset Country, you will find your dream holiday with plenty to do. Anyone who doesn’t find something to do in the Dryden area simply isn’t trying!